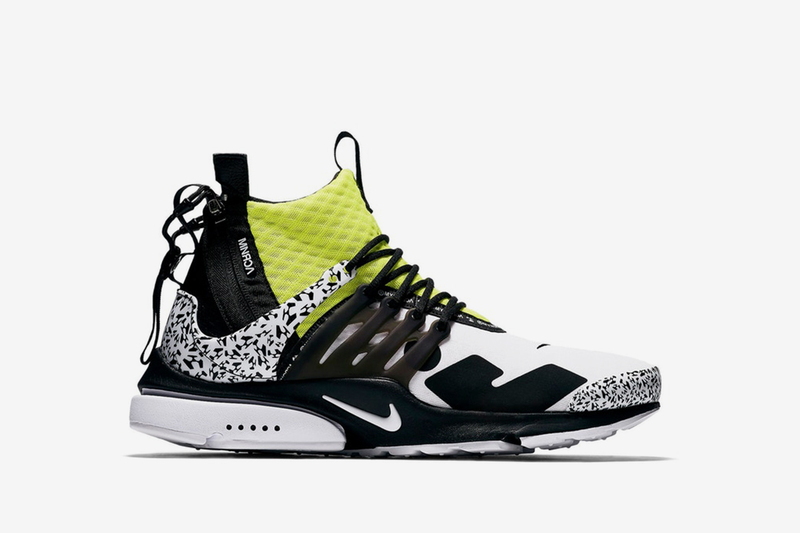 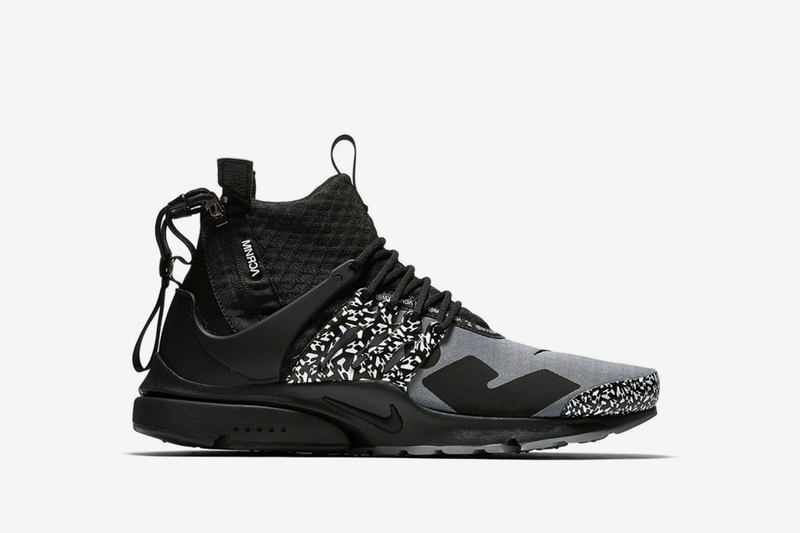 Having stocked the #teamearly iterations of the ACRONYM x Nike’s latest Air Presto prior to their release date, StockX is now the go-to destination for those who caught Ls or anyone looking to turn their new cop into a potential cash profit. 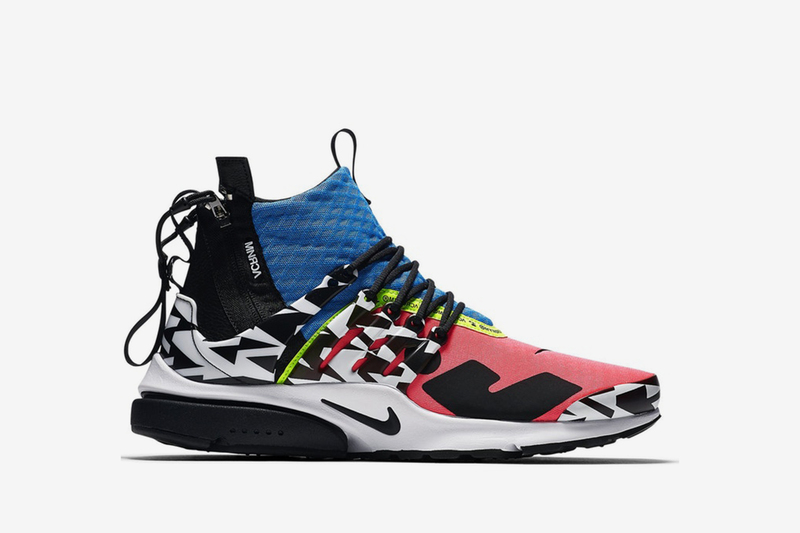 A collaborative effort first introduced in 2016, the three new ACRONYM x Nike Air Prestos feature a neoprene upper in brighter colorways, plus an extended ankle collar with pull tabs at front and back. 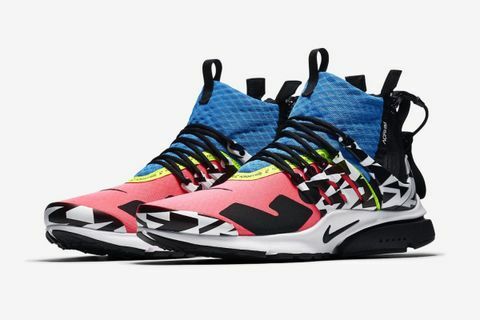 Dubbed “Racer Pink/Photo Blue-White-Black”, “White/Black-Volt”, and “Grey/Black-White” the new colorings are most prominent on the upper, while each new shoe has a chevron-like pattern across its TPU caging — a design element taken from the brands’ previous Air VaporMax moc 2 collab. 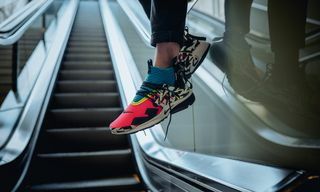 Whether you failed to get hold of one or more of the striking new colorways at retail and can’t do without, or you’re looking to sell your cop on to a loving home, now’s your chance. 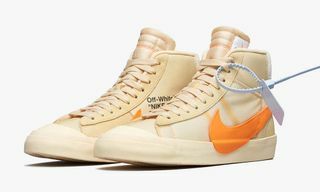 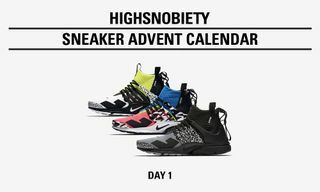 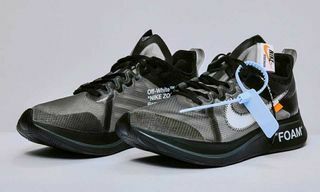 Among hyped releases from YEEZY, OFF-WHITE x Nike, and Jordan that came and sold out with the swiftness, the live ‘bid/ask’ marketplace is now adrift with the latest ACRONYM collab. 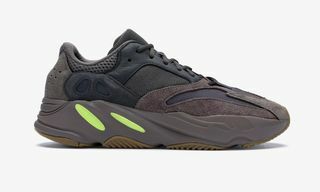 Please note that StockX is likely to come with slightly higher price points than retail value.